Creating beautiful healthy smiles every day! We are a lovely little house on Victoria Rd, opposite Dunlop Tyres and next door to 7-11 Petrol station. The surgery is less than a 5 minute walk from West Ryde station. It is best to alight on the city side of the station onto Ryedale Rd. 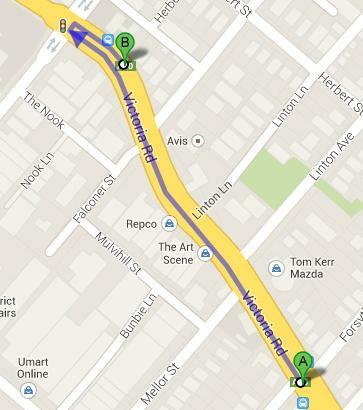 Walk right, down towards Victoria Rd, passing the lawn mower shop on the corner. 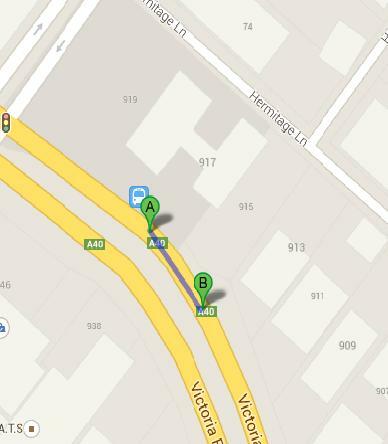 Follow Victoria Rd past Petbarn and Officeworks, cross at the lights and we are next door to 7-11 petrol station. For more information about West Ryde station please visit Sydney Trains. Multiple buses travel down Victoria Rd. The City bound bus alights next door at the 7-11 and the West bound bus alight at the corner of Victoria Rd and Forsyth St, West Ryde. For exact bus routes and timetables please visit Sydney Buses. Walk East up Victoria Rd, we are next door.